Richard Mille told us his brand was sometimes considered macho. Changing that, at the 2015 SIHH he introduced a blossoming magnolia into the RM 019 to create the RM19-02 Tourbillon Fleur. The animation comprises an automaton that surrounds the tourbillon at the 7 o'clock position. Just imagine the petals of flower slowly opening every five minutes or on demand via a pusher. In addition to this motion, the flying tourbillon itself rises up more than one millimeter before returning to its initial position. 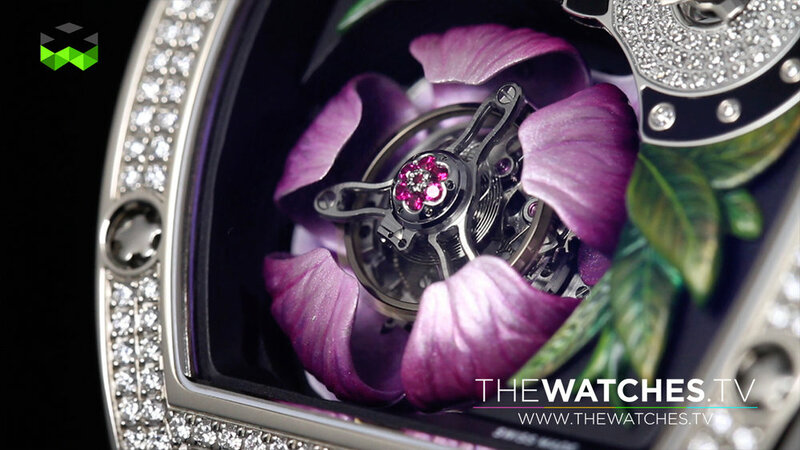 In other words, the RM19-02 Tourbillon Fleur is pure poetry as, metaphorically, it regularly opens its heart. And this heart is as tender as it is precious because the petals are in gold, engraved and painted by hand. Here, Richard Mille forgets about pure performance for a moment - even if the tourbillon is a sign of precision - to create a delicate example of joie de vivre. Even if western cultures think this model is dedicated only to females, in other regions of the world, like Japan for instance, males first see the beauty of the piece.